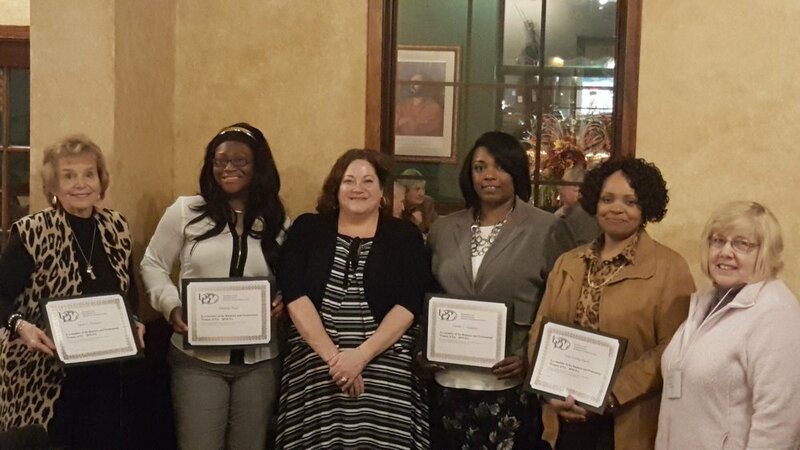 Alexis Werner won the speak off for Young Careerist at Spring District 11 Board meeting at Maggiano's. 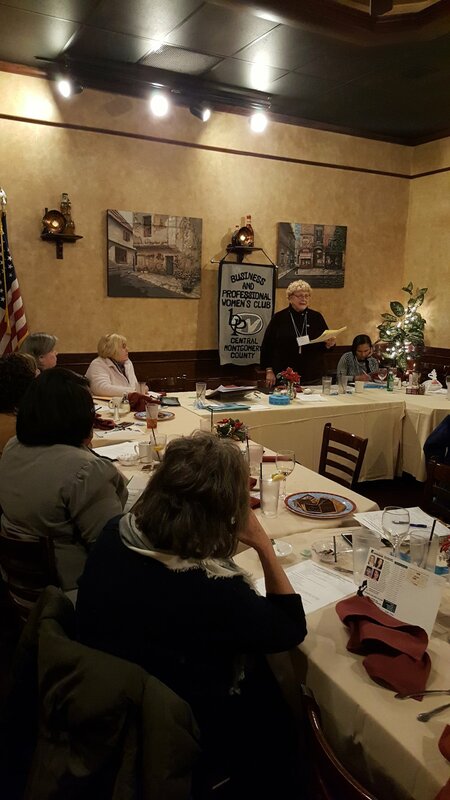 Past BPW PA President, Nancy Werner ( no relation, lol) was her Individual Development class instructor. Way to go! Another friend we met at Cranaleith Sanctuary. 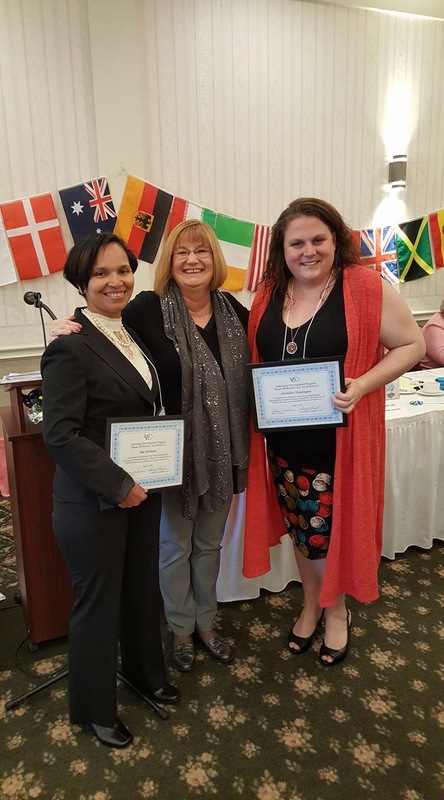 World Affairs, our bi annual tradition, was held on Saturday April 13th following Spring District 11 Board meeting. 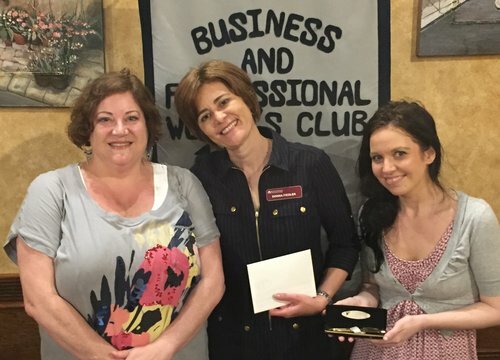 Joyce Hadley ( left) was a speaker for CMC. 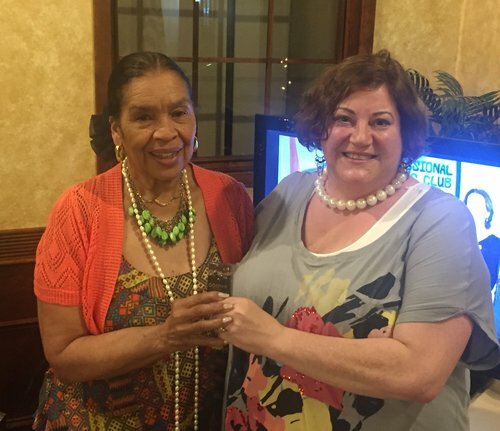 Her childhood experience growing up in the deliberate culturally diverse Bensalem, Pa neighborhood named Concord Park, shaped her life as a peace advocate. 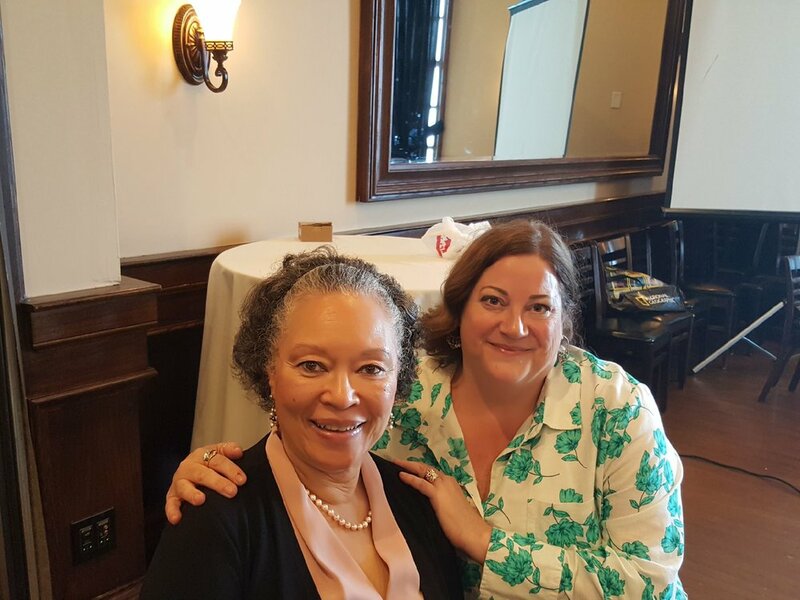 Joyce and President Becky Shoulberg met 3 years ago at Cranaleith Sanctuary when Joyce spoke on Racism and healing the divide. 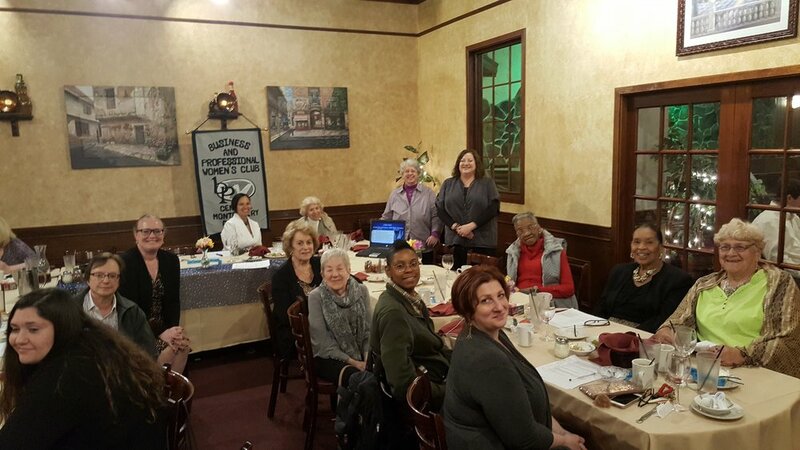 Central Montgomery County Business and Professional Women hosted Theatre Horizon at their March meeting. 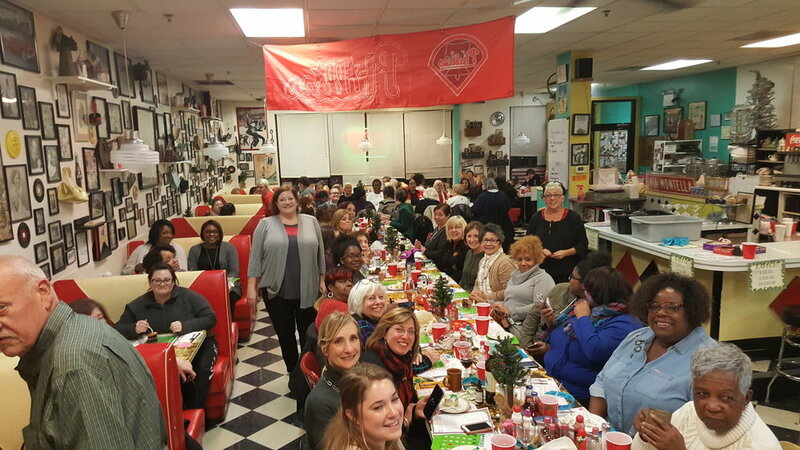 Both organizations are Norristown not for profits founded by Women Who Dare! 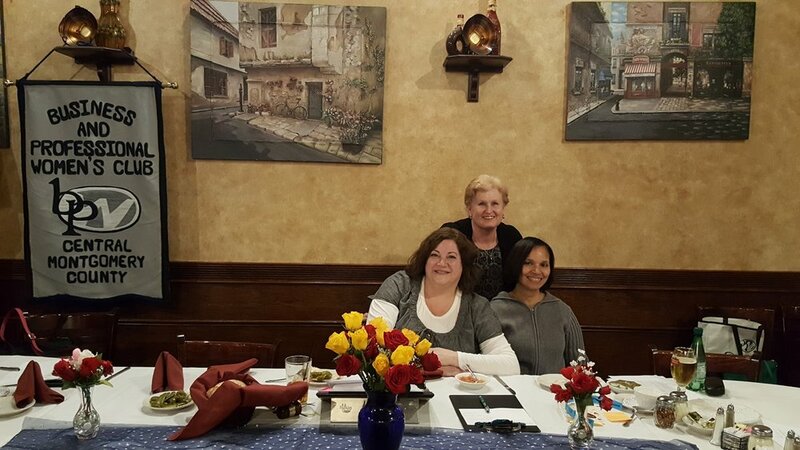 Artistic Director, Erin Reilly ( center) is joined by her friend and mom, Marsha Stamm and Diane Reilly. Both have been ardent Theatre Horizon Supporters for the last 15 years of amazing plays, musicals, camps and more! 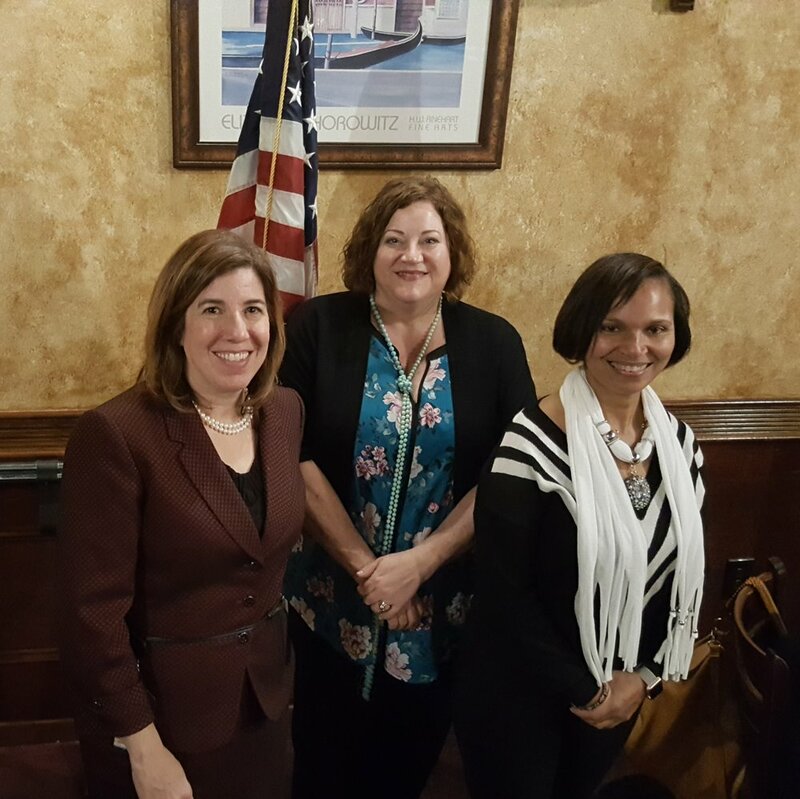 CMC BPW invited the three to their March meeting in honor of National Women's History month. Bravo, Bravo! 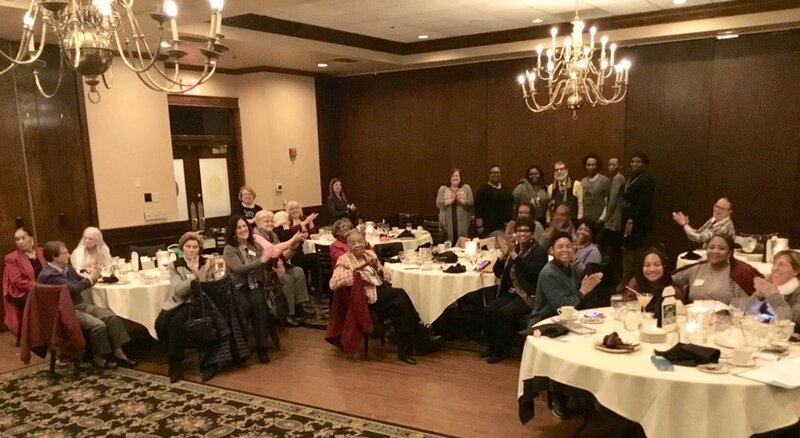 Thank you to Norristown NAACP Jennifer Thompkins and Renee Golden, John Doyle from Iron Age Theatre, Rich Bradshaw, Nya Colbert and Derek Delaqua from Theatre In The X and spoken word artist, Mydera Taliah for provocative performances dedicated to Black Storytelling! 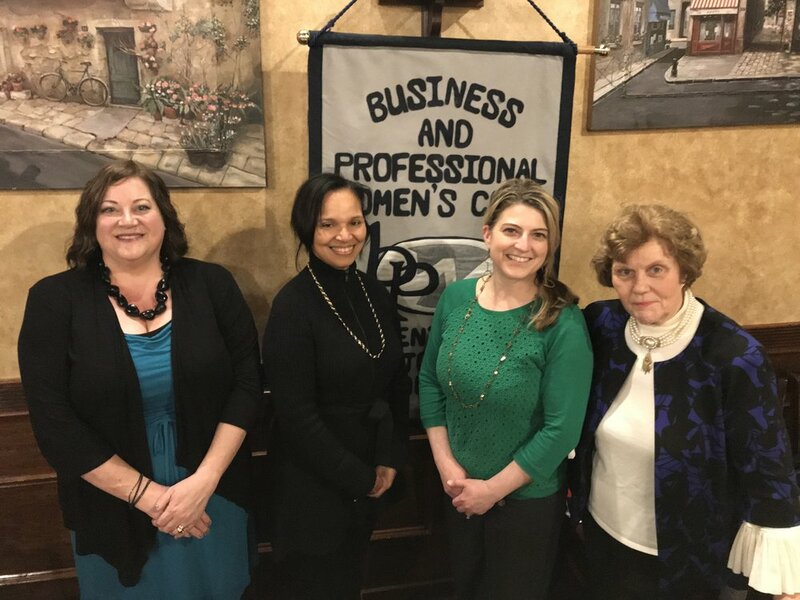 Central Montgomery County Business and Professional Women interpreted their state theme of passion and purpose with two speakers at their January meeting. 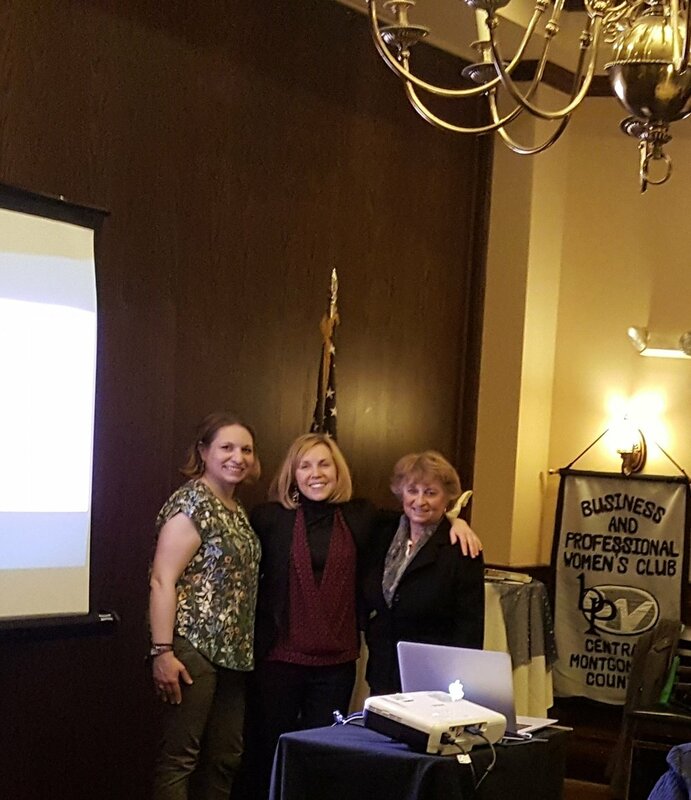 ( standing from left) President Becky Shoulberg hosted Donna Cavanagh from Humor Outcast.com and Past BPW PA State President, Nancy Werner. 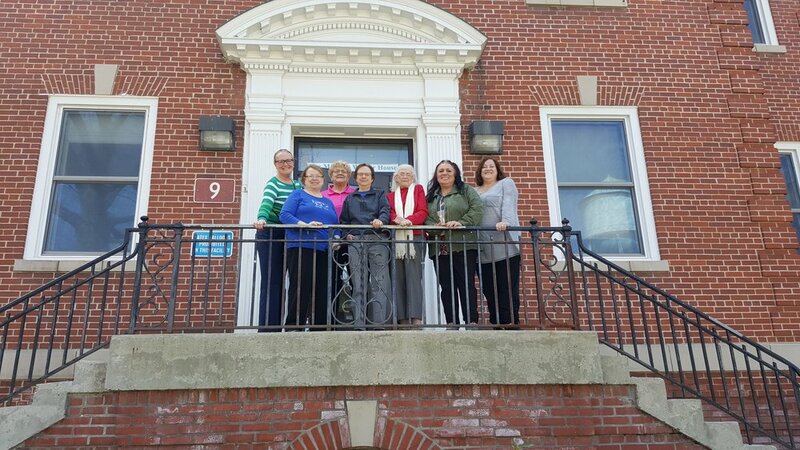 BPW turns 100 years old this year and CMC was chartered in Norristown in 1927. 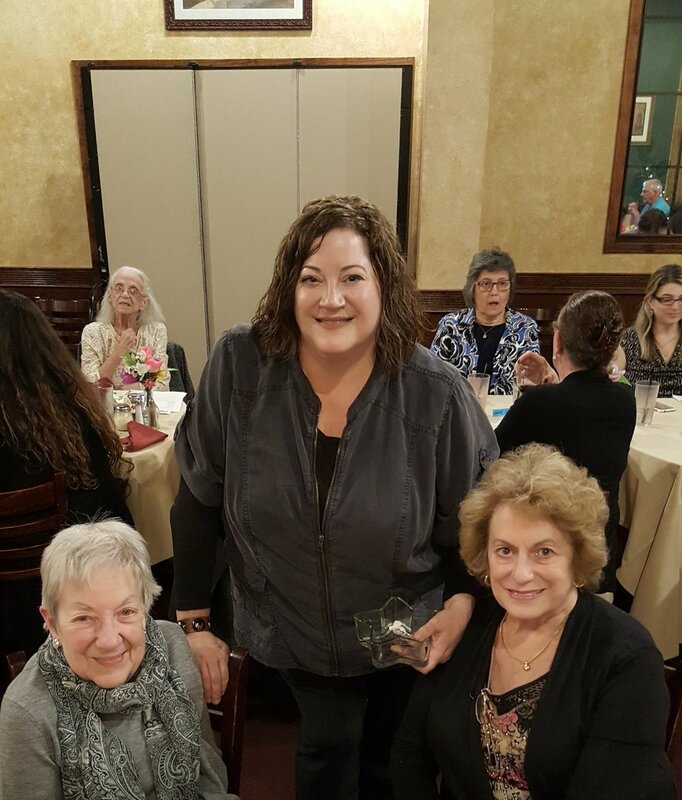 Three years ago, our long-time members, Sally Shaw (right) and Pat Angelucci (left), pitched the idea of a Bingo fundraiser for MCCC Scholarships. On Dec 9th, CMC raised more than the $2,ooo goal! President Becky Shoulberg credits CMC’s renewed involvement with Chamber of Commerce & King of Prussia BID. $4,000 of prizes and raffles were donated by area stores, hotels, restaurants & more! 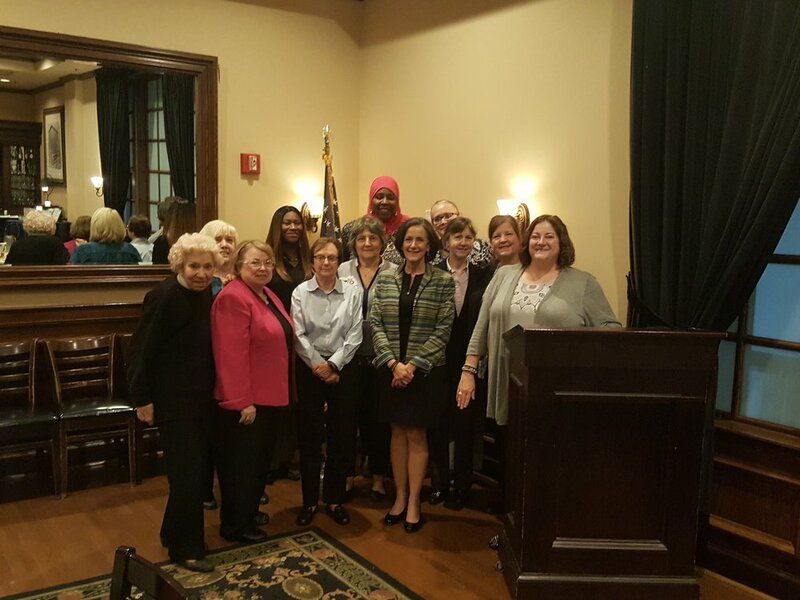 National Business Women's Week was celebrated by Central Montgomery County Business and Professional Women at their October meeting. 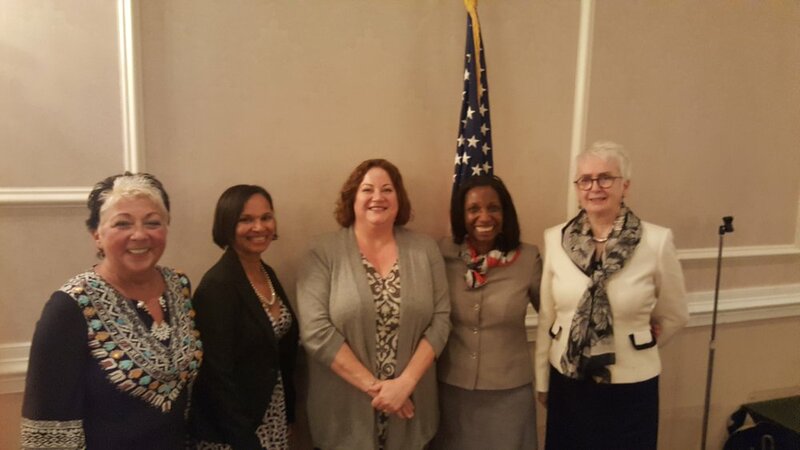 Virginia Frantz, President and CEO of Montgomery County Foundation and a CMC BPW member, (second from left) received the club's Woman of the Year award. "A better business woman for a better business world" has been the NBWW motto since 1938. BPW and MCF are dedicated to improving the lives of women and their families. 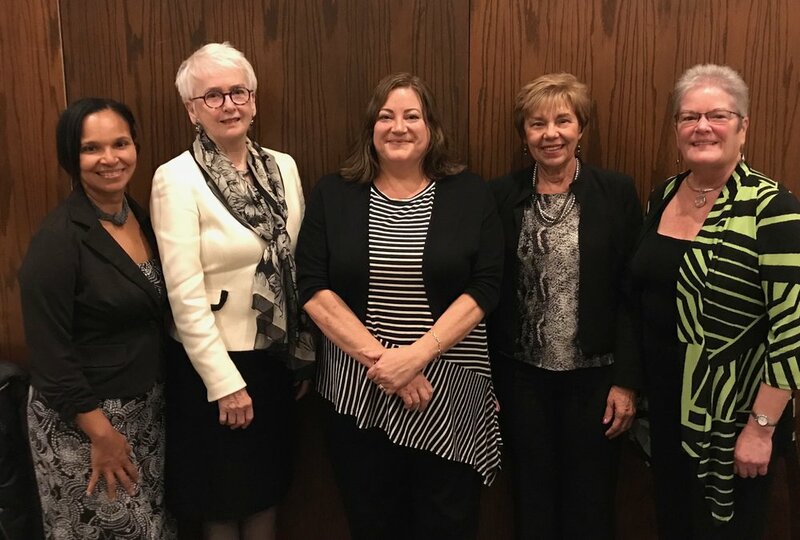 Also in picture from left: CMC Vice President Sue Soriano, CMC President Becky Shoulberg, MCF Executive Assistant Ellie DeFrangesco and MCF Manager of Programs Clare Strenger. 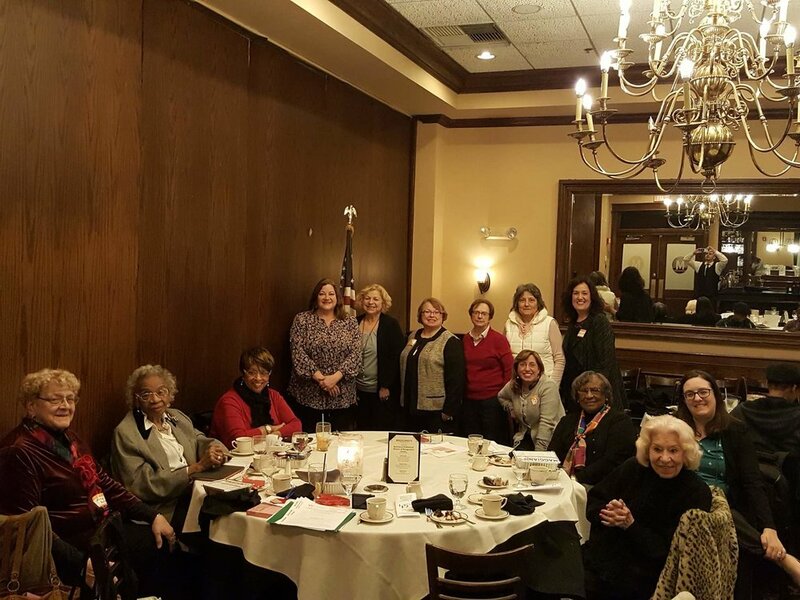 Maggiano's in King of Prussia hosted the September kick-off meeting for CMC BPW's 91st year. 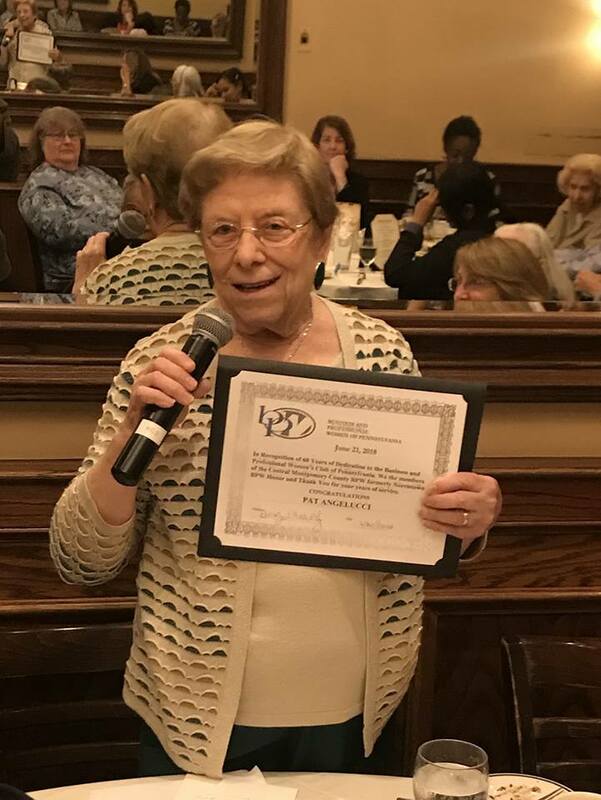 Pat Angelucci's 60 years of loyal membership was acknowledged! 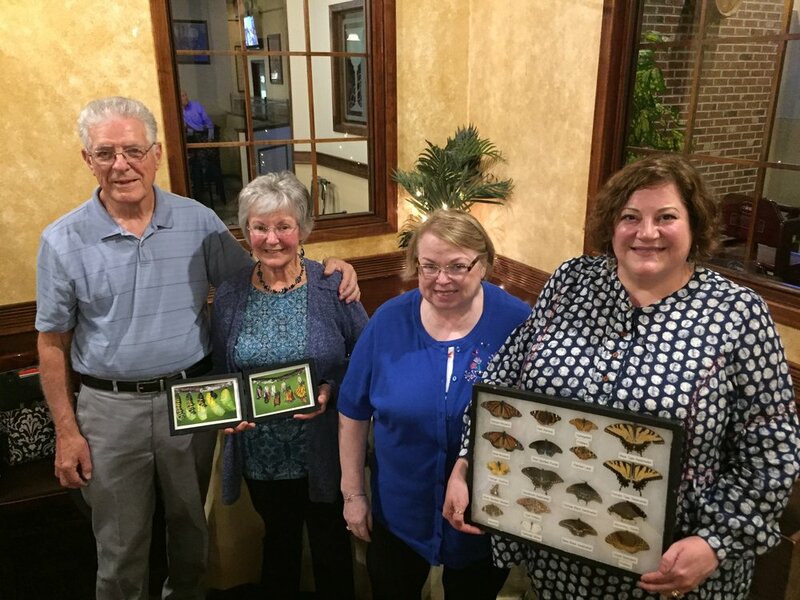 A large donation was made to the Norristown Patrician Society Food Bank in Pat's honor. She continues to volunteer at her church and at her community, Normandy Farms, in between water aerobics and lots of friends and family. Pat and her husband Armen, both Pharmacists, owned Vink's Pharmacy in Norristown. Pat was one of 14 women in her class of 400! 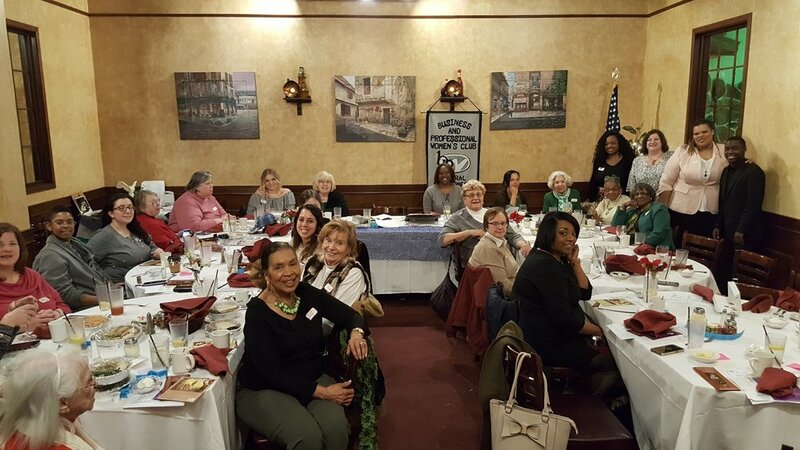 At our June 91st Birthday celebration, CMC BPW paused to capture a group shot of our diverse membership. 19-91 is our age span! 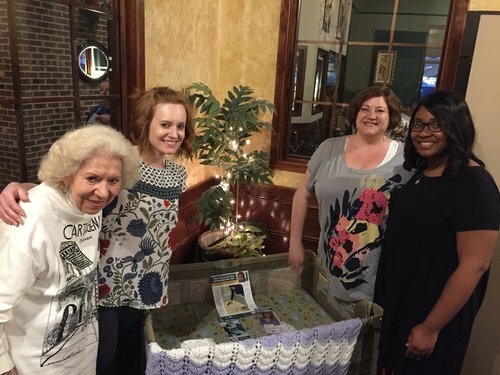 Thank you Megan Anteparra and Simone Snead for keeping us posted on the growth of Cribs for Kids and other Montgomery County Health Department initiatives. 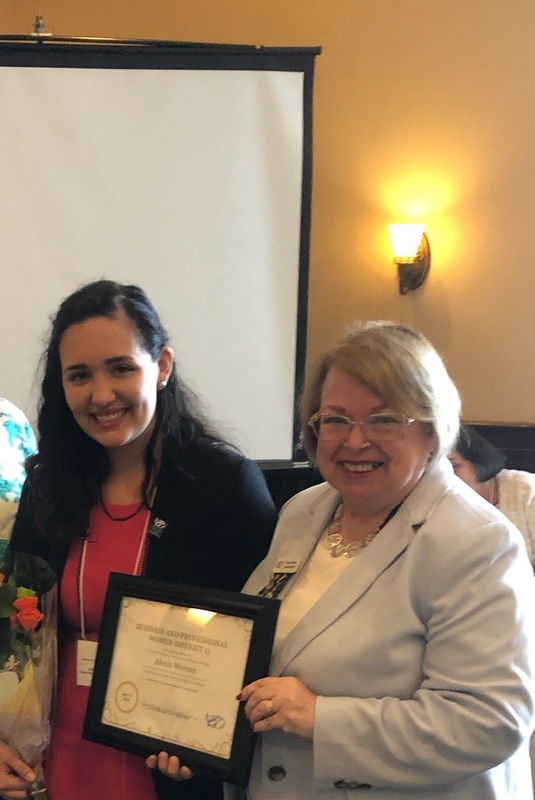 Keeping babies safe is near and dear to our long time member, Agnes Ferrara. Retired Executive Director for VNA. Donna Fiedler, MCCC Foundation, accepted scholarship check with student Samantha Watchous. Bonnie Dudley's P"HER"L of wisdom was, "Patience is a virtue..."